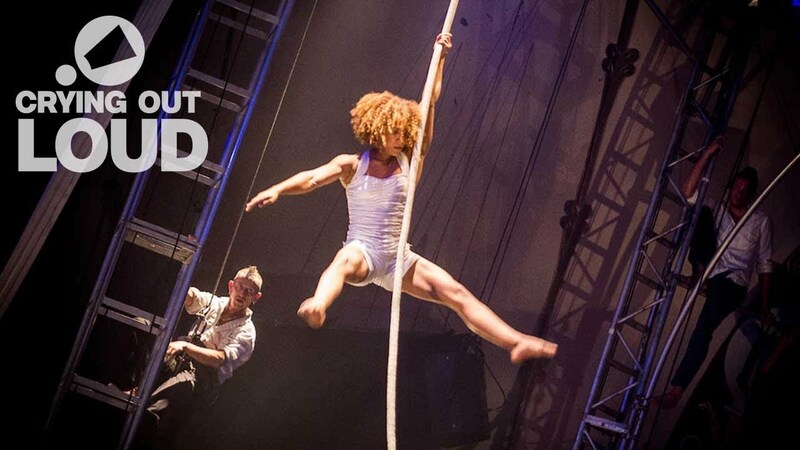 Flown get ready for a captivating night at the circus packed with thrills, extraordinary feats, laughs and fantastic live music. But there’s a problem; no one is prepared and mishaps, disasters and disagreements threaten to wreck the show. A flying aerialist is still ironing her dress, a cranky diva gets tangled in the rigging, and is that one of the stuntmen dangling from the lighting bar? Catastrophe is just one wrong move away! 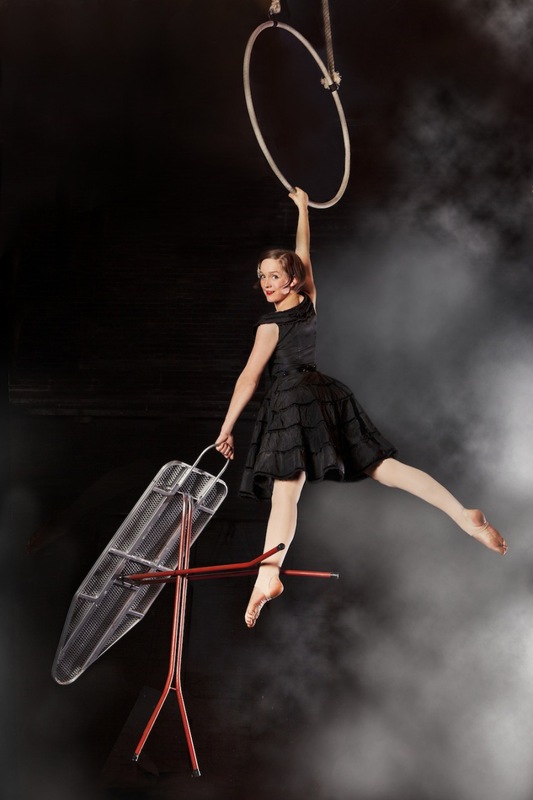 Flown is confidently choreographed chaos as the performers fly, fling, spin and swing across the set in perfect time. It’s big, beautiful and bonkers, an experience for everyone to treasure. 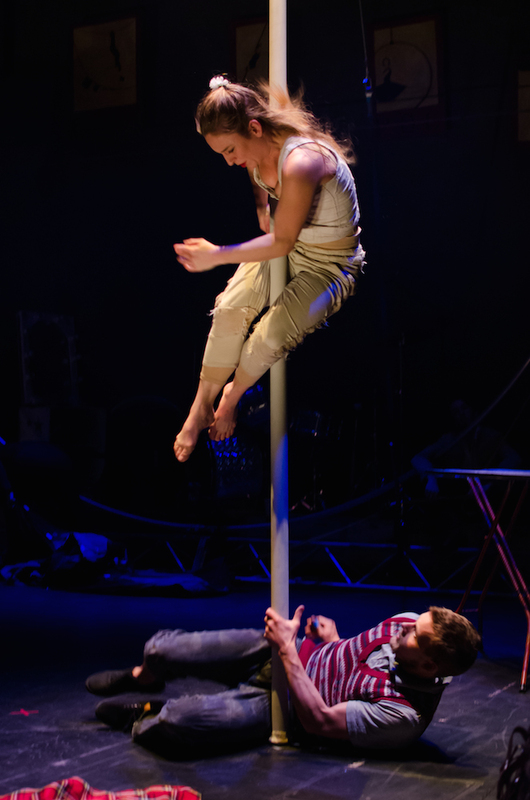 I just fell head over heels in love with #flown by @Carabinapirates, the best circus show I've even seen, go watch! Just saw FLOWN by @Carabinapirates at @UdderbellyFest -it's breathtaking, beautiful, and truly spectacular. The music is exceptionally good. Pirates of the Carabina (POC) specialises in theatrical, highly technical circus shows combined with live music. A group of 10 experienced artists, they have created a platform for developing their own ideas, bringing to the stage the qualities that best express their essence. POC was formed organically out of a one-off commissioned performance of Flown for Glastonbury Festival in 2011. 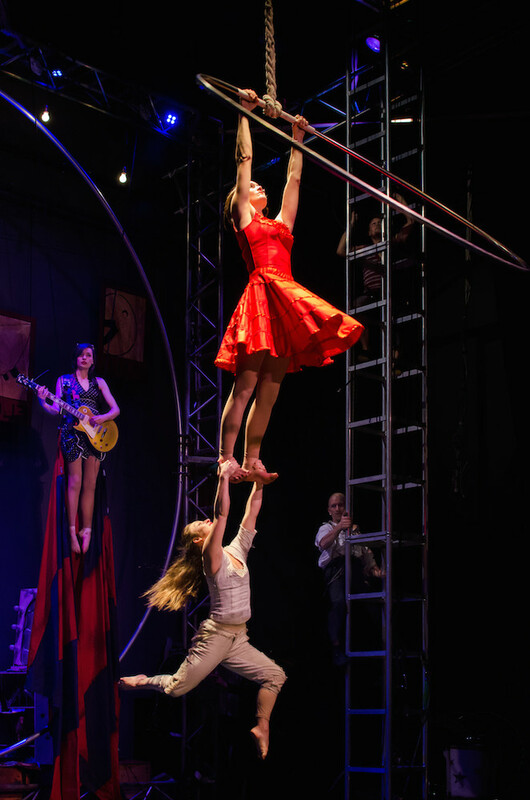 As a result of Flown’s success, the Glastonbury Arts Commission has become an established award, offering a platform for new circus companies. 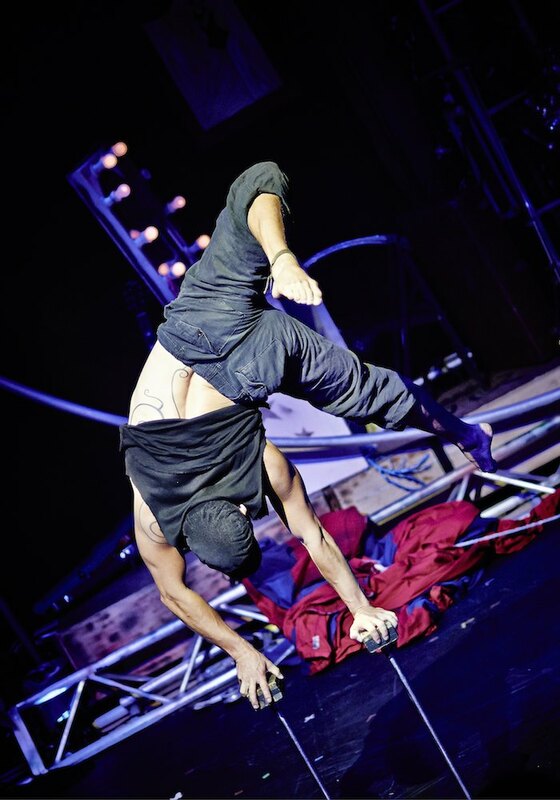 During 2013 Flown toured to venues across the UK, performing over 72 shows to more than 22,000 people. It has been performed to capacity crowds at Glastonbury Festival, Bristol Circus Festival and the Edinburgh Fringe where the Company won the Total Theatre Award for best Physical/Visual Theatre show. Flown has been produced by Crying Out Loud with support from Arts Council England, the PASS project under the European Border Cooperation Programme INTERREG IVA France (Channel) – England, co-funded by ERDF with La brèche, Cherbourg, Lighthouse Poole, Seachange Arts, Great Yarmouth and Invisible Circus, Bristol.